The language – Chqeta'maj le qach’ab’al K’iche’! K’iche’ is a Mayan language spoken by more than one million people in the highlands and piedmont of Guatemala. A country the size of the state of Tennessee, Guatemala boasts an amazing cultural and linguistic diversity with twenty-three Mayan languages in addition to Xinka, Garífuna and Spanish (See Fig. 1). 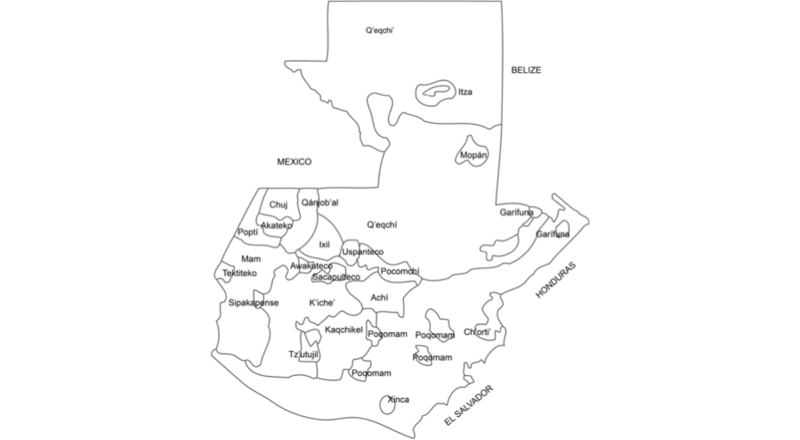 Among the Mayan languages spoken in Guatemala K’iche’ has by far the largest number of speakers -about one and a half million- and is one of the most diverse dialectally. Dialectal differences play a crucial cultural role as local ethnic and stylistic markers (See Fig. 2). K’iche’ was the language spoken by the ruling lineages of the K’iche’ confederacy, the most powerful polity encountered by the Spanish when they invaded the western highlands in the 1523 (See Fig. 3). 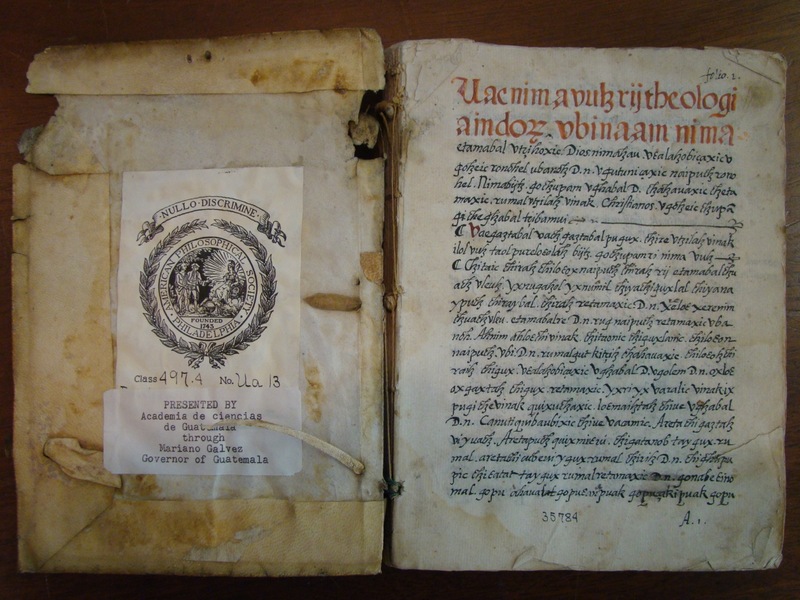 Some of the most important colonial documents in Mayan languages such as the Popol Vuh, the Título de Totonicapán, the Rabinal Achi and the Theologia Indorum were written in K’iche’ (See Fig. 4). 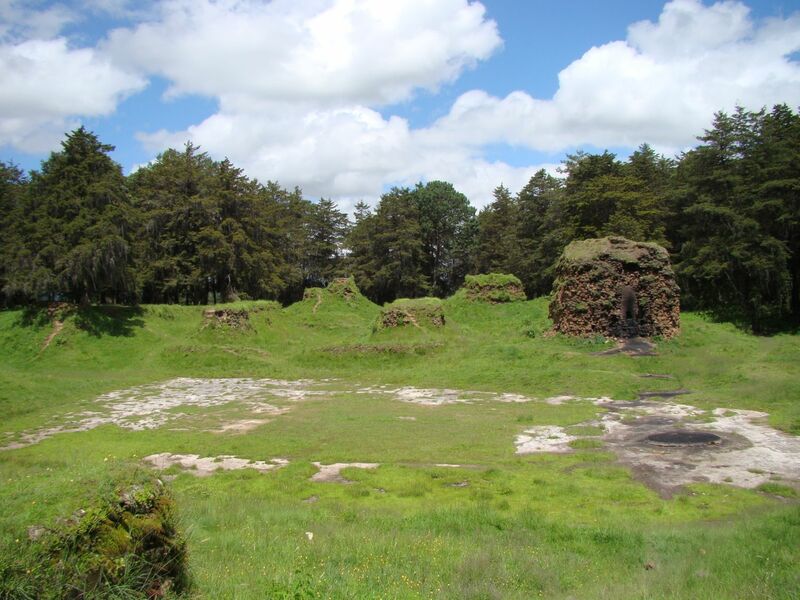 K’iche’ speakers from what is now the department of Totonicapán were central protagonists in the national movement leading to independence from Spain in 1821. More recently, Adrian Inés Chávez, a K’iche’ from San Francisco el Alto, was one of the intellectual forefathers of the Maya Movement. His translation and interpretation of the Popol Vuh as a pan-Maya cultural and spiritual Bible, is still influential in Maya political discourse and ritual practice. In the 1970s and 80s some of the most active members of peasant organizations such as the Comité the Unidad Campesina (CUC) and revolutionary groups such as the Unidad Revolucionaria Nacional Guatemalteca (URNG) were K’iche’ speakers too. The emblematic Rigoberta Menchú Tum, Nobel Prize Winner in 1992, is a K’iche’ woman from Uspantán in the department of Quiché. 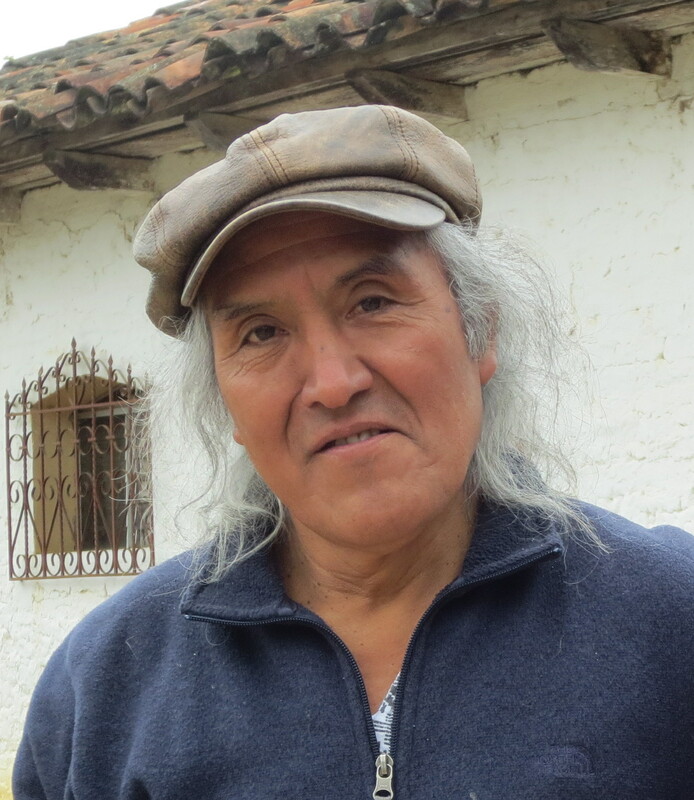 Finally, Humberto Akabal, the best-known and innovative Maya poet today, is a K’iche’ speaker from Momostenango (See Fig. 5). His prolific work in K’iche’ attests to the lexical and stylistic richness of Mayan languages and is iconic of the Maya Movement today. K’iche’ is without a doubt the most emblematic Mayan language in Guatemala, a vehicle of resistance and change since 1523. These online lessons provide a detailed introduction to the sounds, grammar and practice of speaking K’iche’. 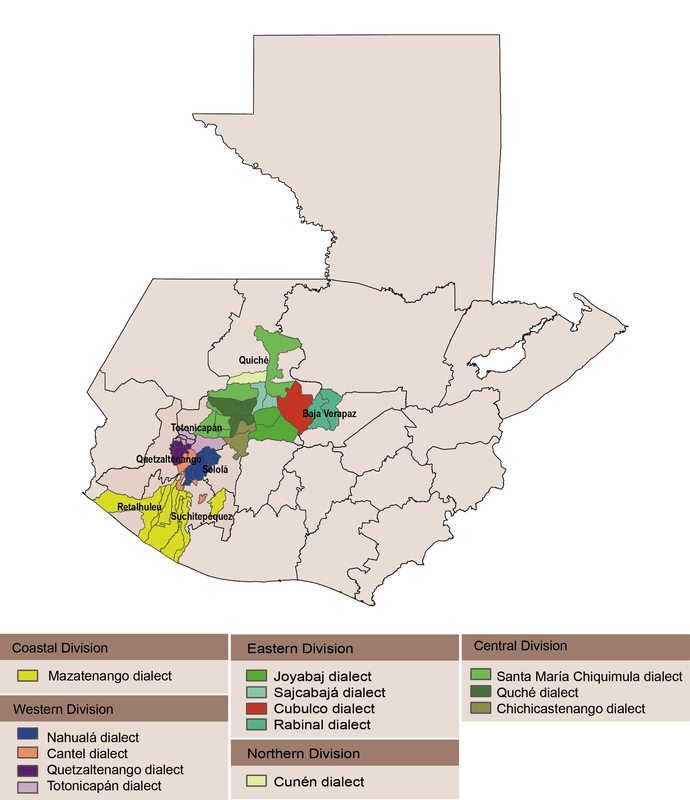 Based on the variety spoken in the township of Nahualá in the department of Sololá (See Fig. 6), they are meant to develop students’ oral, reading and writing skills as well as a firm grasp of the grammar. We also introduce topics of cultural relevance where necessary. Needless to say, K’iche’ embodies K’iche’ culture and values and some understanding of the latter is necessary for any progress in linguistic competence. These lessons will be an excellent resource for K’iche’ learners but they are not meant to replace interaction with actual speakers, however. Each of the forty-five lessons starts with a story, a conversation or a song illustrating the vocabulary and grammar topics developed in the lesson. The lesson sequence starts with useful everyday vocabulary and phrases and progressively introduces more complex phrasings. Learners are encouraged to read the texts aloud following the audio provided. Although certain sounds may be unfamiliar, we encourage them to try their best. They should seek communicational ease rather than perfect diction. Several grammar and drills sections follow the head story. The drills should be read/answered aloud as well as written down. Most K’iche’ words will sound strange for beginning students who are not speakers of Mayan languages. With practice it will become easier to recognize and learn new words, however. K’iche’ grammar may appear challenging at first. It is quite different from the grammar of standard average Indo-European languages such as English and Spanish but is not especially complex. We strove to develop grammar explanations both pedagogically adequate and linguistically accurate. Because K’iche’ shows a substantial dialectal variation beginners may initially find some difficulty in understanding non-Nahualá dialects. Nevertheless, they should not feel discouraged. With practice they will able to adapt to regional difference. As mentioned earlier, dialectal differences act as ethnic markers and learners should develop the ability to identify them. Standard K’iche’ -used in K’iche’ publications- is quite similar to the Nahualá variety so learners will not have difficulty in reading recently published materials.